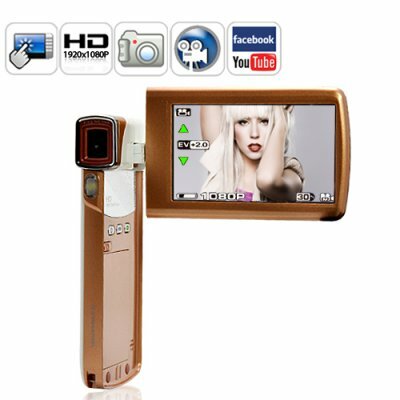 Meet the queen of 1080P video cameras - GaGa has arrived! Sporting a super slim style, it's the perfect camcorder to take with you when you recording the hottest fashion shows in Milan, Paris, and London! Symbolizing amazing performance and outstanding design architecture, the DV50 1080P HD Camcorder is easy enough for the whole family to use and powerful enough to satisfy independent video producers. Available in our warehouse now, order today and we'll ship it out tomorrow! Brought to you by the leader in China Electronics - Chinavasion.